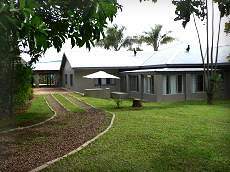 The Hazyview Guest Farm house is located on the Mount View farm (a 250 hectare banana, avocado, macadamia and ginger farm near Kiepersol and Hazyview) and has been converted into 2 separate units, each offering 2 bedrooms with 2 additional beds, kitchen, lounge, dining and outside entertainment area. 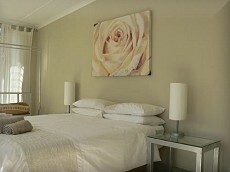 Tranquil environment with large garden, swimming pool and fully equipped modern house. The house can either be used as two separate units each offering 2 bedrooms, 2 additional beds, kitchen, lounge, dining and outside entertainment area, or as one large house, sleeping up to 12 people. 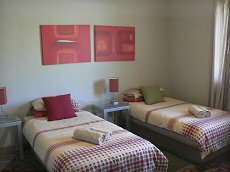 The units are each equipped with TVs and DSTV decoders (just bring your own smart card). 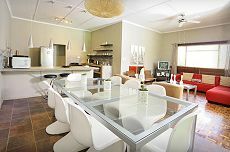 Facilities and services include Ceiling Fans, Electric Hob [Unit 1], Electric Hob and Oven [Unit 2 only], Microwave, Swimming Pool [not fenced], built in Braai and secure undercover parking. The units may be serviced daily on request. Activities include fishing in six dams on the farm and bird watching. Guests can learn more about farming through organized farm tours. Various wildlife species such as small game, hippopotamus and crocodiles live on the farm and makes for interesting hiking trails. Quad bike trails (pre-arrange to bring your own quad bikes) and nature walks available. Situated ? ?km from Hazyview on the Kiepersol - Sabie road.